The Entrepreneur Herbal Course—though not a light course—is a breakaway program from the Advanced Herbal Course, designed specifically for students who want to jump into launching an herbal products business… now! This program is designed to prepare students to run a small herbal products business in the unique and sometimes challenging field of herbalism. We can be educators and leaders in our communities, but to run a business, first we need to understand the intricacies of working in the natural products industry! Learn the art, science, and business savvy of making and selling herbal products, and follow along with the tutorials and videos highlighting tips specific to business start up. This course won’t just show you how to make a salve with ethically and sustainably sourced raw materials—we’ll teach you how to package and market one! With our Student Dashboard, you will have the option to delay your start date with the “start course” button. This allows you to take advantage of special sale pricing and enroll in multiple programs at one time! Becoming an entrepreneur is often a daunting task. We speak from experience! It takes a lot of hard work, confidence, and dedication (a little fearlessness, drive, ambition, and energy never hurt, either!). A business built on the production and sale of herbal products is no different. It requires unique knowledge about the products and herbs being sold, their traditional and modern use, and an understanding of laws and regulations governing the handling, use, and selling of herbal supplements and cosmetics. There are many regulations in place to protect you as a business owner. Many of these same regulations are there to protect the consumer, your customer. Put yourself on the right side of FDA compliance, sustainability, and quality. The Herbal Academy is ready to help. We are here to offer our sage experience in this field, as many of us have successfully started our own herbal businesses. We’ve crossed a few bridges and have come out on the other side with the necessary tools and hard won knowledge that we would like to pass on to you. The field of herbalism is a rapidly expanding commercial opportunity that lends itself to the promotion of well-being, environmental awareness, and conscientious preservation of our precious natural resources. Practice green, and pass the torch on to the next generation! Start your herbal business on a strong, secure platform from which you can grow and achieve success. Growing a business can provide a lifelong income in a field of your choosing if you start off on the right foot. Preparation is the first step, so get educated and save yourself the cost of future missteps in launching your herbal business. Planning and execution will be much easier if you begin with a strong foundation. If it is your dream to work with herbs, and to work in a natural environment where you set the standards as well as the goals, then the only thing standing between you and success is education. How can I source high quality herbs sustainably? How do I wildcraft herbs that grow close by and how should I use them in my herbal products? Can I provide quality herbal products at a fair price point? 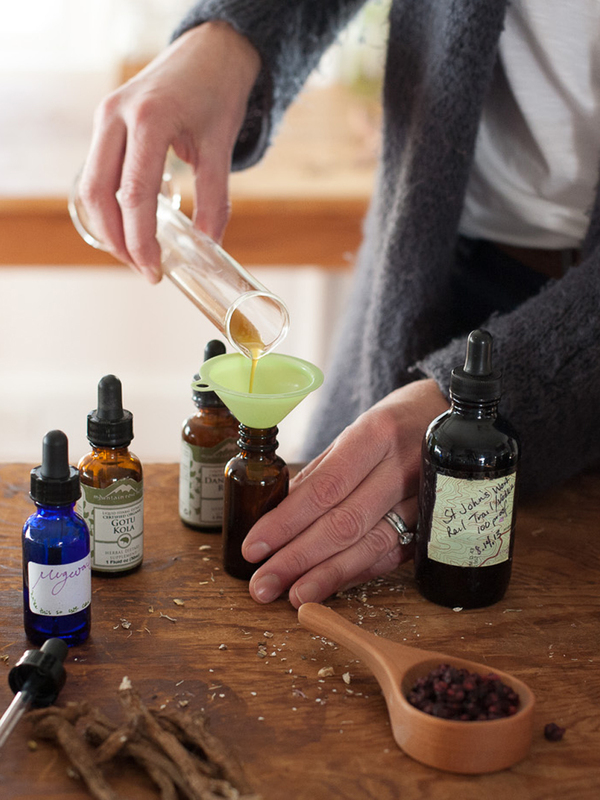 Are essential oils safe to use in my herbal products? How do I comply with regulatory Good Manufacturing Practices (cGMPs) and labeling requirements? How do I set up a website and social media platforms to support the sales of my products? What claims can I make about my products? What things should I be thinking about when designing the look and feel of my labels? What can and can’t I legally say when discussing herbs with my customers? What tactics can I use to stand out in the marketplace? When should I consider outsourcing in product development? Where do I begin when trying to create a brand for my herbal products and services? How can I continue to define my path and grow my knowledge as an herbalist and entrepreneur? The Herbal Academy has gathered some of the most influential and dynamic minds in the field of herbalism to teach the Entrepreneur Herbal Course! Our very own Director Marlene Adelmann will open up to students, sharing her tips and ideas for starting an herbal business based on the success of the Herbal Academy! Katheryn Langelier, owner of Herbal Revolution (and marketing genius!) will offer invaluable insight, sharing with students how she grew her flourishing business over the past several years on the strength of her award-winning herbal products. 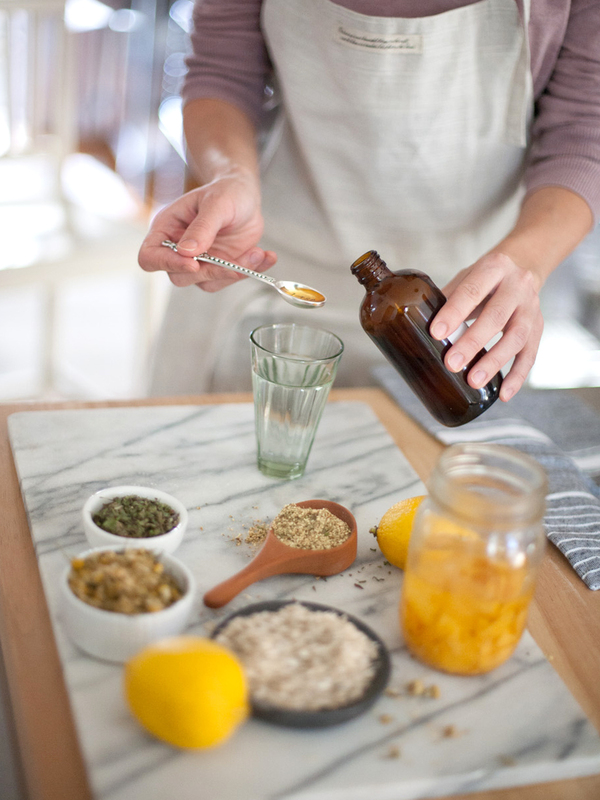 Herbalist Mary Blue gives us a glimpse into her multi-faceted business Farmacy Herbs, which includes a successful retail store, an herbal farm, educational offerings, and a collaborative integrative health clinic. You will also learn from internationally respected herbalists including Steven Foster and Anne McIntyre, as well as a host of clinical and community herbalists, herbal product manufacturers, aromatherapists, authors, and herb growers from the United States and Canada. Learn more about our team of educators here! Know what you are selling. Know why you are selling it. Know how to sell it. Being a good business owner means knowing everything you can about your product, but it’s also about embracing the hard work of running a business and learning how to do so effectively. Invest in a powerful approach to offering herbal remedies and herbal products with our program full of tips specific to business startup. The Entrepreneur Herbal Course begins by setting the stage with the unfolding history and herbal wisdom traditions which have shaped Western herbalism. 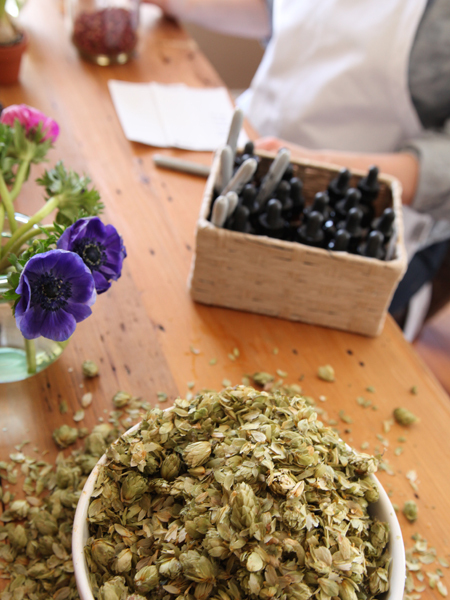 These traditions each have an approach to integrating plants into a holistic approach to wellness, all of which can influence not only the clinical practice of Western herbalism but can also inspire the development of herbal products for consumers. We include some interesting product ideas based on historical uses! The course explores additional major healing traditions that have influenced Western herbalism, further grounding our current and ever-expanding knowledge in all that has come before. We offer up the first Entrepreneur Video, learning about the history of Farmacy Herbs, based in Rhode Island. The course moves on to focus on plant identification and taxonomy which emphasizes the importance of becoming familiar with the anatomy of herbs and giving students a strong foundation for herb identification. It then moves on to a thorough investigation of plant chemistry to inform your understanding of the active constituents in plants as they relate to traditional use and the products you intend on creating. You’ll find information on sourcing herbs sustainably, videos and a written lesson on wildcrafting ethics and techniques, a tutorial lesson on drying herbs, and a Q&A with an herbal entrepreneur who uses wildcrafted plants to inspire her product line. Finally, we talk to the owner of a medicinal plant mail order and retail nursery in another Entrepreneur video. Since there are many ways to be an herbalist and entrepreneur, we will explore how to define your path. In the Entrepreneur video, Defining Your Path, herbalist, activist, educator, farmer, and business owner Mary Blue discusses the multiple ways she works as an herbalist. We also speak to an herb shop owner as well as an entrepreneur who landed a book deal after growing a successful business. Because continuing education is important, you will learn, how to continue to grow your skillset throughout your career. We offer resources to support you in this continued work of adding skills and experience to your repertoire. This unit starts with a lesson on aromatherapy, as the use of essential oils is a hot topic and we want to provide our students the information they need for safe and effective use of essential oils in their products. It continues with a lesson of downloadable tutorials on making various herbal preparations, as well as how to package, label, price, and manage them. You will learn about the Fire Cider controversy that has resulted from the trademarking of traditional herbal preparations. You’ll find detailed guidance on complying with good manufacturing practices and legal requirements for labeling and dip your toes into formulation. While the regulatory information we discuss is based on U.S. regulations, these lessons can be helpful to anyone who is interested in manufacturing a quality product and labeling it appropriately. In fact, learning the language of U.S. regulations is likely to support your research into regulations from your home country. Unit 6 offers helpful business advice on creating a brand from the Herbal Academy based on our experience launching an herbal business, and from an herbalist who has created a vibrant and successful herbal products business. We include a video on the legal aspects of what herbalists can and cannot do and say, both for business owners, educators, and clinical herbalists. This unit also features videos from several entrepreneurs offering their experience and advice. 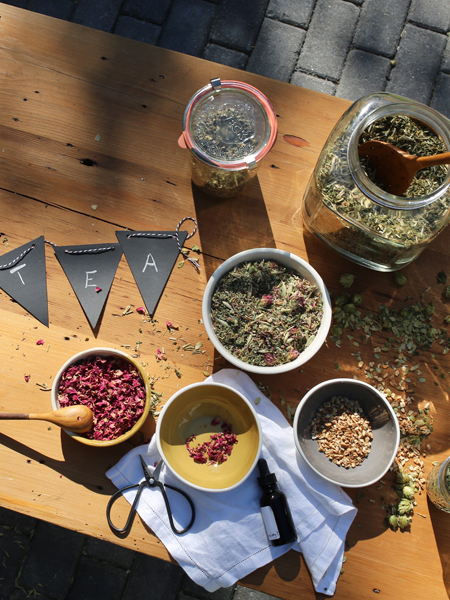 You’ll find a lesson on running an herbal business, with the soup to nuts information you’ll need: from deciding on a business structure to choosing insurance, effective accounting, how to receive payments, and options for shipping your products. For those interested in the online marketplace, you will learn the ins and outs of developing an enticing and effective online presence via a website and social media platforms. The Entrepreneur Herbal Course will get you started in the right direction on the path to developing your herbal business, giving you valuable information up front to help guide you through the process and save time, money, and frustration down the road. The two year course expiration date is triggered when you select the Start Course option in class; not at registration. 30 substantial lessons designed specifically for the entrepreneur! Get organized with helpful media and charts for business start up. Learn from those who are already successful! This program includes videos, presentations, and interviews with herbalists who have experience opening an herbal products business. Entrepreneur Herbal Course students will also get access to our thriving private Facebook community! Graduates receive their own Entrepreneur Herbal Course certificate upon completion of the course! We’re with you all along the way! Students have access to course instructors and Academy team members throughout the program. This program is a breakaway course from the Advanced Herbal Course. Should you choose to continue your studies even further, upgrade your program to the Advanced Herbal Course. Contact us to learn more! Access to the Herbal Academy’s catalog of discounts, including 25% off Mountain Rose Herbs and Bulk Herb Store orders, and savings on United Plant Savers membership, Natural Herbal Living, Essential Herbal Magazine, Mother Earth Living, and more. I had been really interested in taking some courses through the Herbal Academy for several years and in August I finally signed up!! I’m really excited to be part of this online experience and find the coursework challenging and really, really awesome!!! I am excited to be moving forward with the Entrepreneur Herbal Course and want to thank you for such an amazing resource. I am loving this program and finding so many new inspirations in the learning. Thanks! I began this course last year with the Introductory portion and now I am hooked. My husband and daughter tease me because I have “mad hatter kitchen days” where the smells of herbs fill the air as I busy myself making herbal tea blends and decoctions. Stuff brewing and the laptop surfing articles and recipes. I am very excited about this journey and it’s nice to know there are others out there who “get this herbal stuff”. I’m taking it right now and enjoying it tremendously!!! Love it!! I finished it last year and loved it!! Joining The Herbal Academy has been one of the best decisions I’ve made for myself and my family. I just finished that course. Very informative. Since the Entrepreneur Herbal Course is an advanced level program and because it is important for an herbal entrepreneur to have a solid foundation in herbalism, we have packaged the Introductory, Intermediate, and Entrepreneur Herbal Courses into the Entrepreneur Herbalist Package for those students keen on gaining a solid foundation in herbalism to help inform product development and the community education that accompanies sale of herbal products before launching their herbal products business. Ready to get started? We look forward to having you join us! Herbs are my passion. Imlookig foorwad to start this courts especially since residing the full course description!